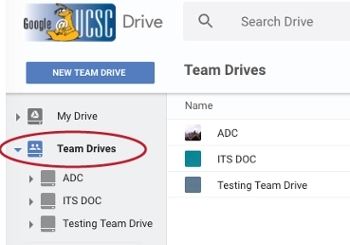 Team Drives files are owned by the team members (not an individual) and stay put exactly where they are even when a team member leaves the group or leaves UCSC. Start by setting up a Team Drive and adding members. Add files to your Team Drive. After you add files, you can get them organized.